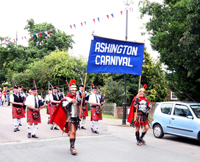 Ashington Festival first appeared in 1997. It was decided that instead of having the Fun Day and the Flower Show on two different days it would be better to have one large day. All the businesses around the village was asked if they would sponsor some money for the day, I remember we got nearly £3.000 in sponsorship money which was excellent at that time. The clubs and groups of the village was asked if they would have some kind of stall to raise money for themselves and the Festival. It was a great success and now in our 23 rd year it has got so big we are running out of space on the Recreation Ground. We now have a large Carnival, Arena/Stage Acts running throught the afternoon and evening, lots of craft and charity stalls, sideshows and Harris Funfair which is our own village fair. We have a Flower Show, fun Dog Show and an Classic Car Show with vintage vehicles, a Car Boot Sale and lots more. In the evening we have a live bands playing outside and a fantastic Firework display. 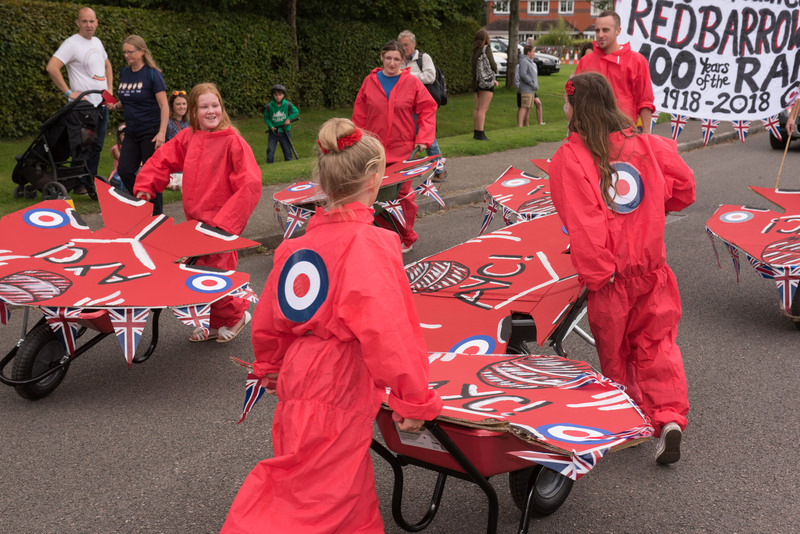 The Carnival is one of the largest in our area we have alot of carnival floats and walking groups from village groups and families all wanting to join in. We have marching bands, majorette troupes clowns making a fantastic atmosphere. People come from miles away for the day and they line the streets to watch the Carnival. Because the Festival has got so big we have to raise something like £10,000 to pay for the day, this is done through sponsorship and fundraising through many hard working people. But we need more help so if anyone reading this can help please contact me. Also on Festival day over the years it has been a reunion day, people who was born in the village or used to live here come back to meet old friends and family which I think gives it a real community spirit atmosphere. We have heard some very moving stories over the years where people have not seen each other in alot of years. 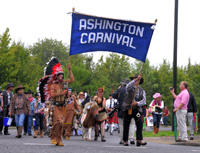 So if you were born in the village or used to live in Ashington come to the Festival and catch up with old times, it is always held on the third Saturday in August.